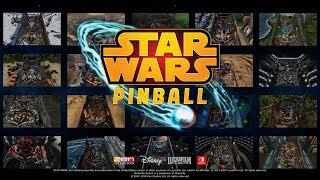 The Star Wars Pinball Nintendo Switch collection will offer unique gameplay modes only available on the console. Players can participate in a community-wide Galactic Struggle, which allows them to contribute points to the light or dark side, depending on their preference. Likewise, a new Career mode allows Star Wars fans to join the ranks of the Jedi or Sith as they achieve up to 50 Career Ranks, and simply playing any table unlocks special Force Power bonuses that can be applied toward bigger scores. 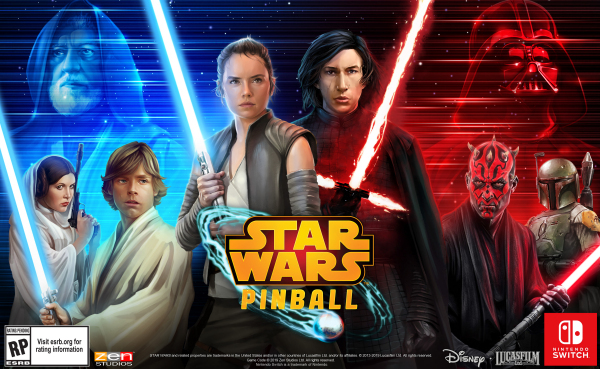 4/11/2019: Zen Studios announced at Star Wars Celebration Chicago that Star Wars Pinball is coming to the Switch on September 13th.